Robyn was at the end of her rope when yet another medical doctor told her the fibromyalgia symptoms she was experiencing was just "all in her head". After a failed carpal tunnel surgery and medications that just didn't seem to improve her chronic pain, she decided to come in and see Dr. Huntsman. Personalized treatments at Georgia Clinic of Chiropractic were able to finally address long-ignored symptoms and more specifically, her fibromyalgia. 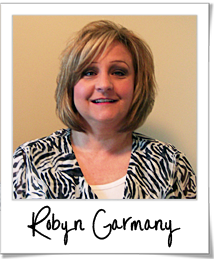 It wasn't long after treatment at Georgia Clinic of Chiropractic that Robyn was able to regain her life. After spending years isolating herself from friends and family, she was able to resume social activities, and simple pleasures such as a medicure/pedicure were once again possible. "Before being treated by Dr. Huntsman at Georgia Clinic of Chiropractic, I was being treated for fibromyalgia by my primary care physician with no signs of improvement. I also had carpal tunnel surgery on my right hand but I still had the pain even after the surgery. The pain was causing me to not work anymore as a social worker, and it was causing stress in the relationship with my husband and children. I couldn’t participate much in family activities and just kept to myself most of the time, which was making me very depressed. I had been suffering with fibromyalgia for over 15 years before coming to see Dr. Huntsman. Dr. Huntsman has validated my symptoms whereas my primary care physician has never taken the time to pinpoint my specific problems and find out what was causing it. Since being treated by Dr. Huntsman all my fibromyalgia symptoms have really improved, and I was even able to attend a wedding which I danced. I’m now more active with my family and have a better outlook on life. I was also finally able to have a manicure and pedicure without tremors in my hands. The staff is understanding and caring, and they know your problems actually exist and that it’s not just “all in your head”. They also take the time with you at appointments—you don’t feel rushed. Dr. Huntsman does great documentation which I hope one day sheds light on other existing health problems so that other patients can also be properly treated by other doctors."